2016 AIA MN Merit Awards win for U+B’s Children’s Hospital project – U+B architecture & design, inc. 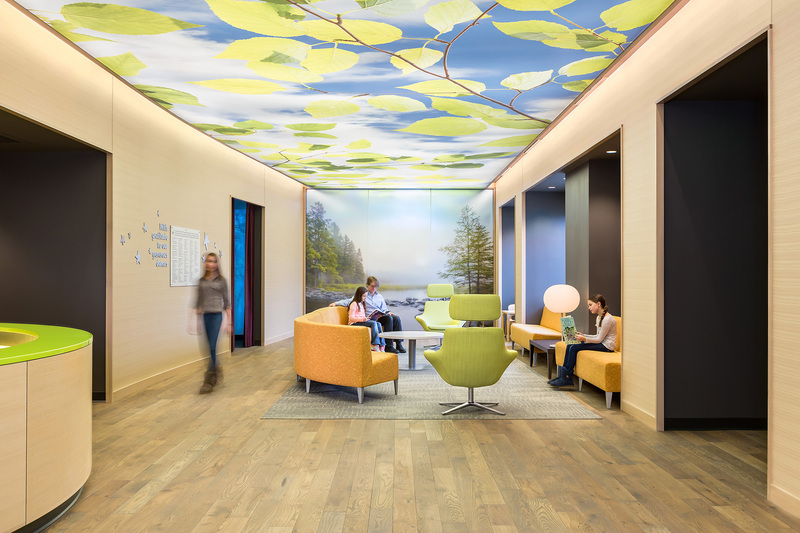 In May 2016, U+B was awarded the 2016 AIA MN Merit Award for our work at Children’s Hospital – the new Kiran Stordalen and Horst Rechelbacher Pediatric Pain, Palliative and Integrative Medicine Clinic. This innovative clinic creates a backdrop for an outpatient practice that combines the best of holistic care and western medicine. The Merit Award is given to architectural projects that tell a story of excellence beyond design, encompassing other factors that shape a building. Along with U+B the team, the staff at Children’s Hospital, the innovative physician and the patrons of the project all believed strongly in the mission and cause of this new clinic resulting in a new “healing environment” for pediatric patients specific to the unique challenges of pediatric pain management. The vision for the new outpatient clinic was to both embody and support a holistic medical practice, focusing on the enhancement of physical and mental well-being and the alleviation of suffering.